FFrom the breathtaking scenery of Mpumalanga to the bustling city life of Gauteng, South Africa's provinces promise a range of experiences that you can't find anywhere else on earth. Explore South Africa's nine provices. 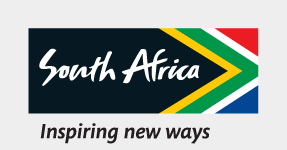 Discover Eastern Cape, Free State, Gauteng, KwaZulu-Natal, Limpopo, Mpumalanga, Northern Cape, North West and Western Cape. TThe scenic splendour of the Western Cape has long been a drawcard in South Africa. This is where you’ll find the Cape Winelands and a beautiful stretch of coastline. Most visitors list Table Mountain, Robben Island (where the late Nelson Mandela was incarcerated) and a visit to the Cape of Good Hope, at the tip of the Cape Peninsula, as priorities. SSouth Africa’s ‘wild’ province, the Eastern Cape features expanses of untouched beach, bush and forest. This was Nelson Mandela’s home province, and is an area with some enticing attractions – among them the Addo Elephant National Park, with the densest elephant population in the world; the dramatic Wild Coast; and, of course, Mandela’s home at Qunu. SSouth Africa’s third-smallest province, KwaZulu-Natal has a wealth of scenic and cultural attractions that include the country’s most popular beaches lying to the south and north of Durban. Add to that its bushveld reserves to the north, historic battlefields and the dramatic Drakensberg mountains, and you can see why it’s popular with tourists. MMpumalanga means ‘the land of the rising sun’ in the local siSwati and Zulu languages, a name it derives from lying on the eastern border of the country. It is most famous for being the southern gateway to the country’s premier wildlife reserve, the Kruger National Park. It is a place of game, adventure and rich history. LLimpopo has become a sought-after tourist destination for its big game, exceptional birding, untamed bush landscapes and an ancient African kingdom, the centre of which was located at Mapungubwe National Park. It is also the northern gateway to the Kruger National Park. TThe North West province features premier wildlife destinations, among them the Pilanesberg Game Reserve and the Madikwe Game Reserve; parts of two UNESCO World Heritage Sites (the Vredefort Dome and the Taung Fossil Site, part of the Cradle of Humankind World Heritage Site); and the world-famous Sun City gaming and entertainment resort. TThe Northern Cape is the largest of South Africa’s provinces but has the smallest population, making it one of the more remote areas of the country. Among its key selling points are its vast open spaces, unique vegetation – including the beautiful spring flower spectacle that transforms a semi-desert landscape – and the Kgalagadi Transfrontier Park, which is famous for its lions. TThe Free State is essentially an agricultural province and its appeal lies in its scenic beauty, rural tranquillity and natural attractions. The eastern part of the province is the most beautiful, with its sandstone rock formations and rolling grassland. It also lies in the heart of South Africa as it borders six of the country’s nine provinces, as well as the kingdom of Lesotho.